Conference Site & Transportation Info. 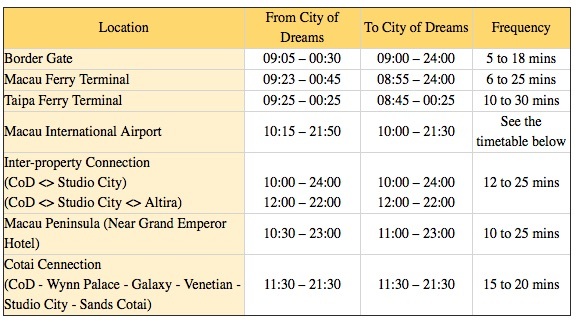 * Taxis are readily available at the entrance of our hotel Grand Hyatt Macau, 24 hours a day. * The taxis in Macau is black with a cream roof. The flag-fall charge is MOP19.00 for the first 1600 metres, with MOP2.00 added every 240 metres thereafter. There is a MOP3.00 surcharge for each item of luggage carried in the boot. * There is a MOP5.00 surcharge for boarding a taxi at Macau International Airport or journeys from Macau to Coloane. 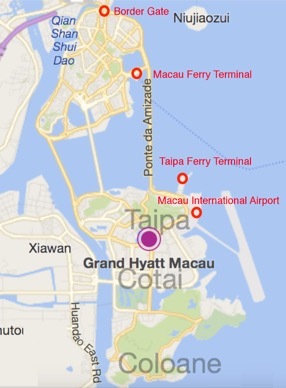 From Taipa to Coloane, a MOP2.00 surcharge applies, while there is no surcharge from Macau to Taipa or from the islands to Macau. * Self-parking is MOP25 per hour.